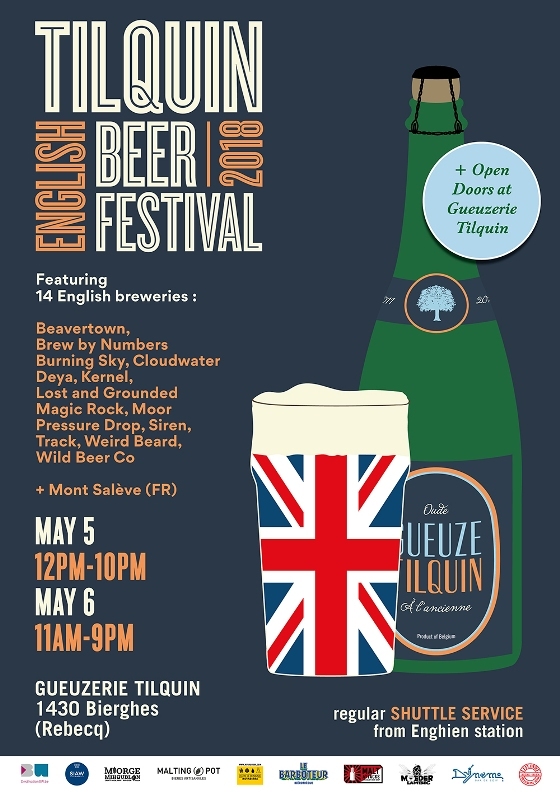 For the third year, the Gueuzerie Tilquin organizes an English Beer Festival with a selection of 14 breweries amongst the most innovative of the English craft beer scene, as well as with one additional guest. On this event, the Gueuzerie Tilquin proposes you free guided tours of the blendery and a free glass of lambic for each visitor. + as well as some EXPERIMENTAL beers ! For eating, there will be different foodtrucks (fish and chips from Bia Mara, hamburger from Chez Roger, cheese plate from La Ferme Le Bailli), as well as our usual slices of bread with white cheese (plattekaas) or eels from Chimay. And it will be possible to buy all our products to the store of the festival, together with a selection of the English beers proposed at the festival. The entry is valid for the two days.